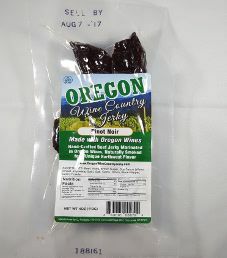 The next review for Oregon Wine Country Jerky will focus on a 4 ounce/113 gram bag of their Pinot Noir flavored beef jerky. 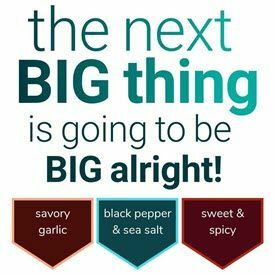 This Pinot Noir flavor is advertised as having a strong fruity intensity with a complex flavor, and being one of a kind beef jerky. The jerky bag was graciously submitted for review by the owner, Glenn Loehr. 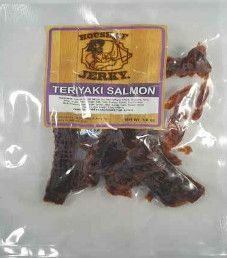 The next review for House of Jerky will focus on a 3 ounce/85 gram bag of their teriyaki flavored salmon jerky. 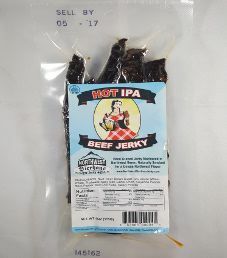 This bag was kindly submitted for review by Lesley Wilzbacher from House of Jerky. 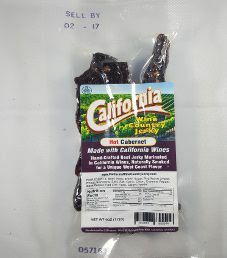 The next review for California Wine Country Jerky will focus on a 4 ounce/113 gram bag of their Hot Cabernet flavored beef jerky. 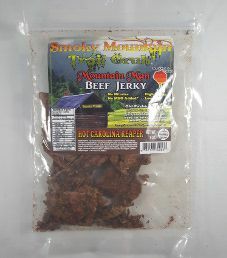 Their jerky is advertised as being naturally smoked for a unique West Coast flavor. This bag was kindly submitted for review by the owner, Glenn Loehr.